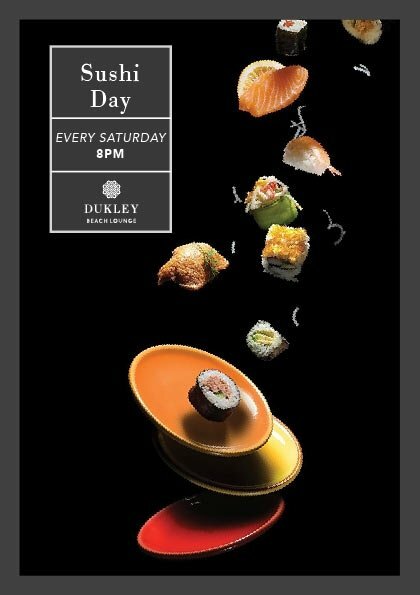 Sushi Day is a food show performed by our Dukley Beach Lounge sushi Chef. Enjoy degustation, a gourmet performance, and a new format. And this incredible program includes live music. Open Every Saturday starting at 8 PM.